This one's a twofer. After about seven months or so of not touching my hair, not even with a pair of scissors, it was about time that I freshened up my look a bit. I'm back in the growing out stages of my hair after chopping it fairly short back in March or so. Luckily, due to my laziness since May, my hair was not super damaged by heat (or at least as much as usual), it just happened to be a really ugly shade of dirty blonde. Typically I go in and just bleach my highlights for a subtle bright blonde look. This time, we went a bit ashier with the blonde and not quite as blinding bright. It turned out to be a really beautiful autumnal honey shade, but a little bit lighter. I'm bad at describing colors but my favorite hair stylist (and the only human I trust with my hair) and I both loved it. I also was reunited with my baker boy cap from Epoch that my cousin bought for me as a complete joke, but I continue to wear anyways. 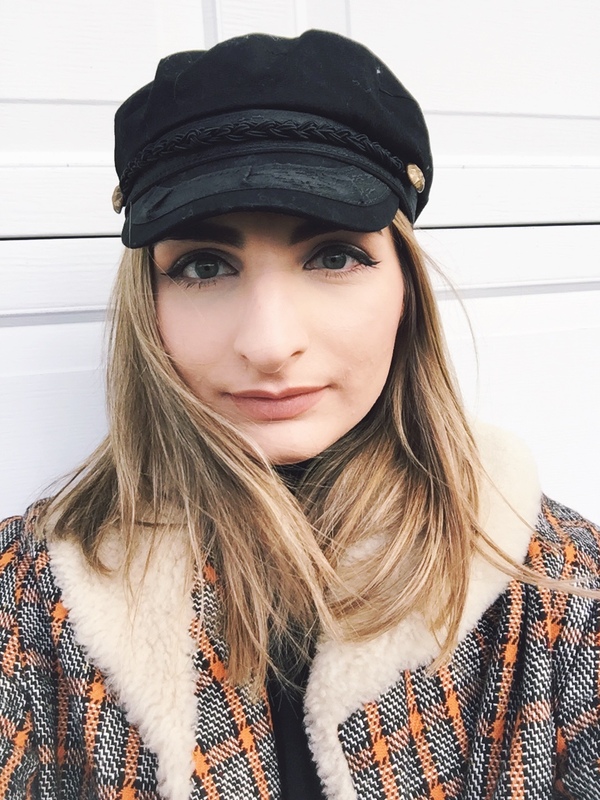 I should probably get myself a new, proper baker boy cap, but my head is so big that I fear that I won't fit into one. This one is a size XL and fits my head gloriously. Seriously, my head is that big, and I don't think it's because it's full of brains. Do you ever continue to use something because you have an old version and you know it's not the best but you just keep putting off getting a new one? That's how I was with my powder brush for my face. I had one from Elf which is perfectly fine, but I've also had it for so long that the bristles, even when clean, are so tough and rigid that applying powder to set my face became a nightmare. I finally got a new brush before I went on my four week long excursion. I picked up this brush from Eco Tools because (1) it looked heavenly and soft and (2) because influencer marketing works and I've seen Suzie from HelloOctoberxo and Katy from HelloKatyxo do videos in collaboration with EcoTools and they look so soft and lovely. I really like this brush for patting powder onto my face. I don't like to rub my brush into my skin or swirl it around too harshly because I don't want to disturb any of the cream or liquid products on my face, especially my concealer, so I tend to just pat the brush onto the areas where I need my makeup set and call it a day. 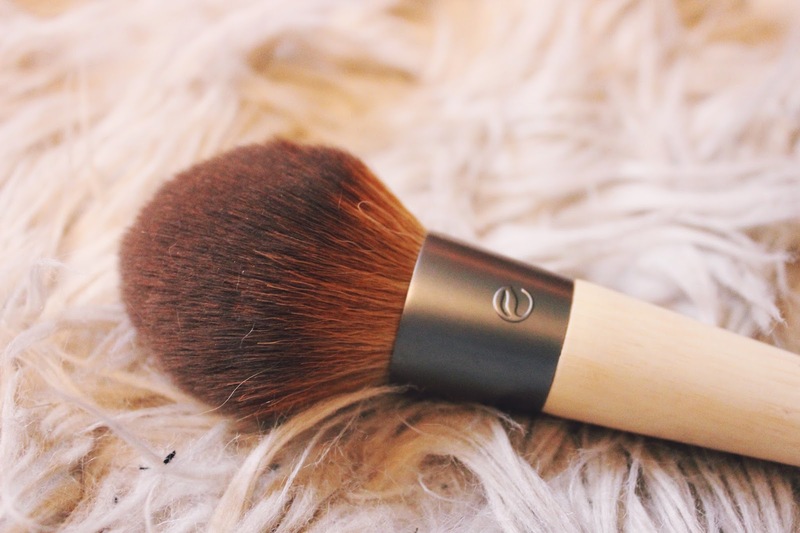 And now I just use my old powder brush to blend out my contour, so it's still in service! My friend Naureen did an entire review and reflection piece on this book on her blog last week, so I'm going to leave it to her to talk about this book better than I'd be able to. I picked up this book when I was in Canada with Kelsey and Naureen, as per their recommendation, and those two just know me and my taste in books so well. 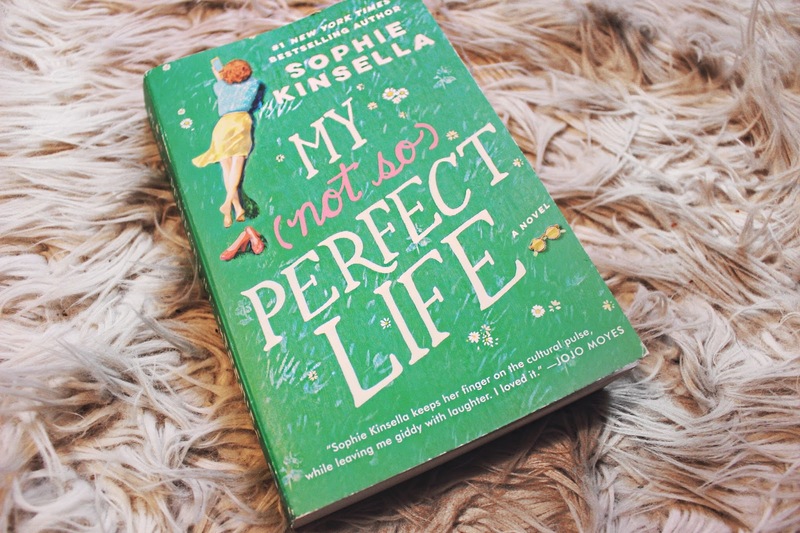 My (Not So) Perfect Life follows Katie Brenner, a girl from the countryside who desperately wants to be a city girl in London. She has a job at a branding agency and works for Demeter, a woman who she believes to have a perfect life and everything under control. After less than a year at the company, Katie is let go and finds herself back at home helping her father start a "glamping" camp at their farm. After months, Katie is still trying to find proper work back in London while continuing to help her family. That is, until one day, she gets a blast from her past and Demeter shows up with her family for a vacation, not knowing that this is where Katie is from. I love when the world acknowledges that everything that we show to the world–whether it's through our appearance, basic conversations, or social media accounts–isn't necessarily what's happening beneath the surface. Nobody's life is perfect. Everyone has their own something going on behind the scenes that isn't always so glamorous. We put our best selves out into the world to mask what's really going on and I love that this book really showcased that, all while laced in with humor, drama, and just a little bit of romance. Yes, this shower gel does smell like bubblegum and candy. And yes, it does have silver glitter in it. And yes, it would probably best be suited for a child and not necessarily for a 21 (going on 22) year old. I don't care though, Lush Snow Fairy shower gel is my favorite shower gel in the whole wide world. I buy it every season. I am normally just a St. Ives Shea body wash kind of gal, but sometimes you just have to splurge for your happiness. I might have had a little moment in Lush when I wandered into the back of the store and saw the display of Snow Fairy. I didn't realize that they had it this early and debated for about five minutes on whether or not I should just go for the full size or get the medium bottle. But, for my happiness and well-being, the big bottle one. What I love about this shower gel, aside from the smell, glitter, and color, is the fact that you only need the tiniest amount and it lathers up like a dream. You can make a bottle last forever and what's what I really appreciate in my pricier products. What has been one of your favorites lately?